Posted October 4, 2014 by Hanme Kim & filed under Uncategorized. 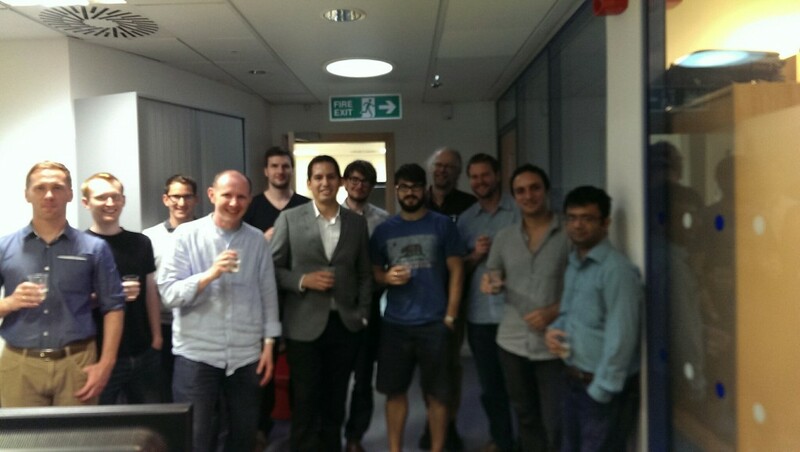 Congratulations to Renato Salas-Moreno on his successful viva defence. Thanks to Murray Shanahan and Jamie Shotton for examining. What a week Renato is having…. We have told him he should buy a lottery ticket tomorrow!